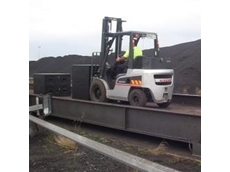 Australasian Machinery Dealer Services have been servicing the machinery industry since 1988. They offer a range of new equipment and provide used equipment services and website services. Joe Built Australia manufacture a range of road train dollies. 04/07/08 - Australasian Machinery Dealer Services specialises in the distribution of vertical gravity separators. 02/07/08 - Australian Transport Industries distributes an extensive range of heavy duty off-road trucks suitable for industrial and mining applications.